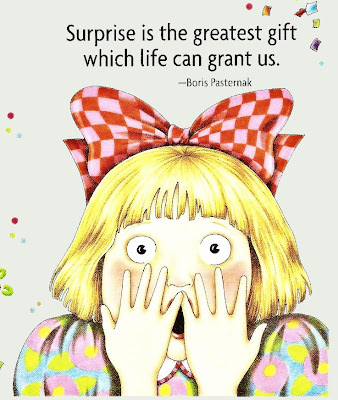 Kathy Hardy's Handmade Life: Surprise! 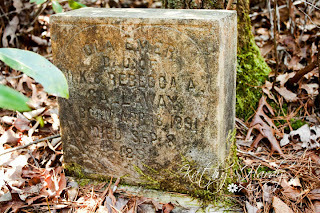 Come to find out, this was the grave of a little baby named Ola Emert Galloway...she was the daughter of H.K. 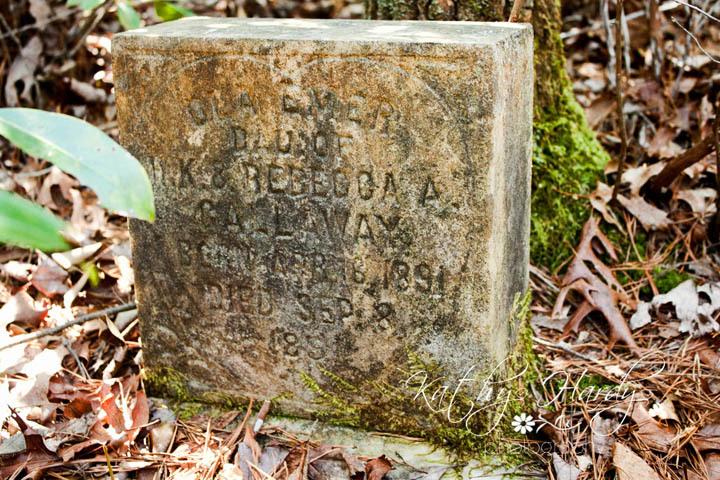 & Rebecca Galloway ~ born on 04.16.1891 and died on 09.08.1891. I love exploring old cemeteries...I'm going to check out another one tomorrow. I'm off to my camera club meeting! Good luck winning the earrings!! Have a great Thursday Night!! Yay! I made it, I'm first! Come on Lita, pick me, pick me! I love these earrings, they are so soothing, like pepto bismal! HeeHee! Kathy-you have become such a awesome photographer! This is such a unique photo, I love it! It's haunting and mysterious! Sad though to know that if it were today the little baby could probably be saved! I havent read the link to her name but plan too! 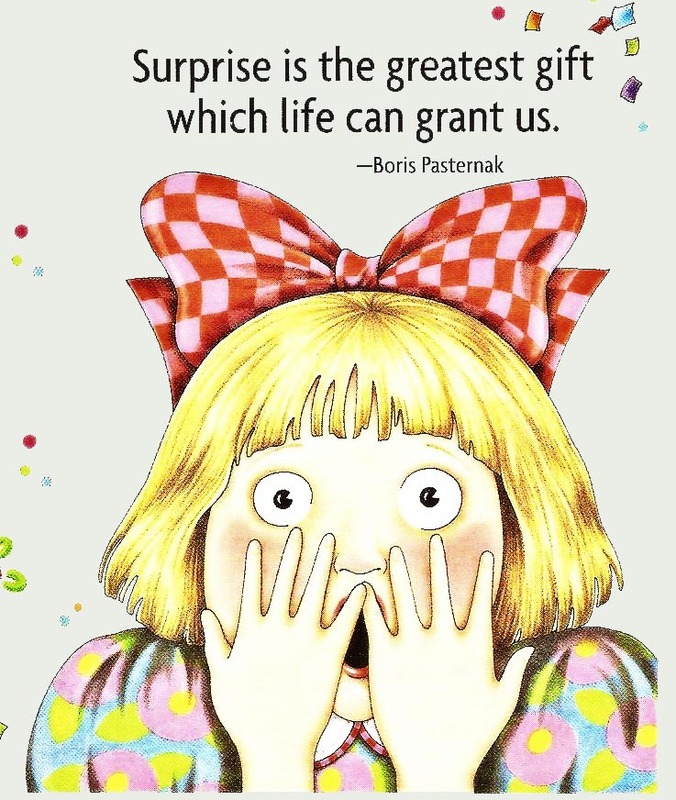 everyday I look forward to seeing what you'll discover! We are having incredible, unseasonably warm weather in Virginia Beach. I've walked every day so far this week. Mine haven't held nearly as much as adventure, but I've been enjoying them just the same. Fascinated by the pic & story and of course, I love the earrings. If I remember properly, Lita likes me better than Ozzy. I just stumbled upon your website and what a delight! Like you, I enjoy combing through old cemeteries, taking photographs, reading the tombstones and wondering about the lives represented. The music absolutely fits the tombstone of the little girl and I can imagine if that girl were a woman she would want to wear the beautiful earrings. Thank you for sharing your art. You have such great adventures! Love to hear about them. You make the ordinary extraordinary! Love this quote by Amedee Ozenfant, "Art is the demonstration that the ordinary is extraordinary." You definitely do that! I have to agree with your Anonymous poster your photography is beautiful. Maybe one day I can add that to my arsenal of therapeutic hobbies. I love the earrings hmmmm now wouldn't that be something.